I’m very pleased to introduce the new Lindisfarne prints series! 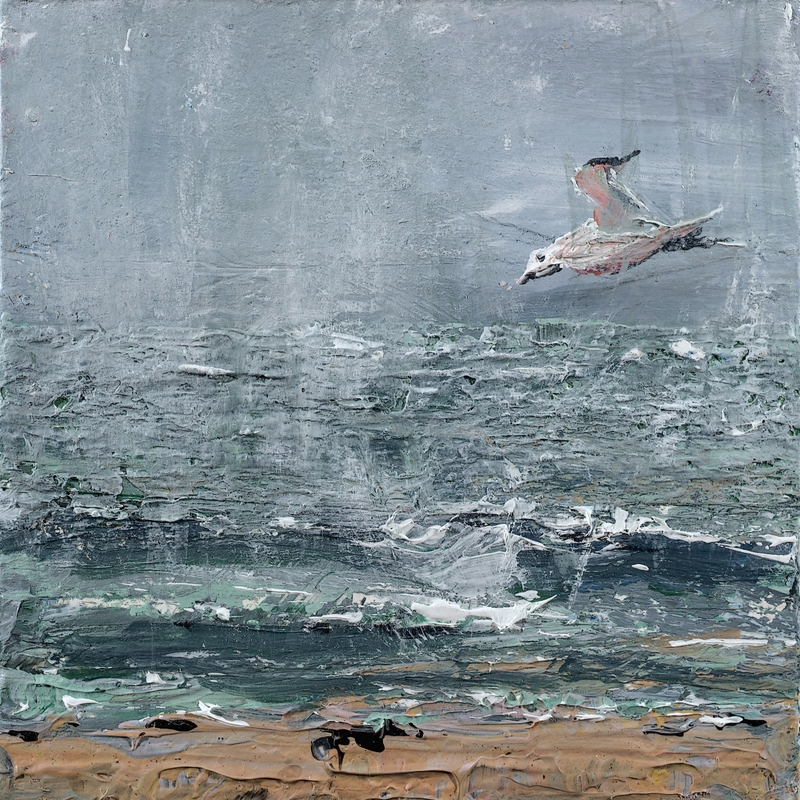 The paintings were created in October 2014, and I remember being mesmerised by the moody changing light of autumn – watching the sky change from silver to black then blue, flocks of birds rising in clouds then speeding along the wave tops. 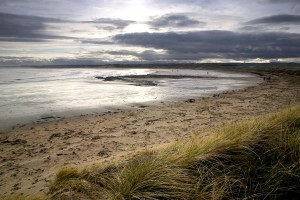 The Berwickshire and North Northumberland Coast European Marine Site extends along 115km of coastline from Alnmouth in Northumberland up to Fast Castle Head in Scotland, covering the Holy Island of Lindisfarne and the Farne Islands. It protects some of the most significant marine and coastal habitats in Europe, including rocky reefs and swaying kelp forests, deep sea caves, intertidal sand and mud flats and large bays. 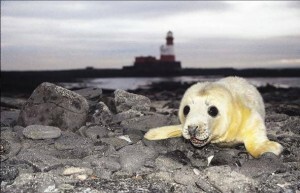 These special places support an abundance of marine life, such as grey seal, sea birds, and a rich assemblage of plants and animals on the reefs and beneath the soft sediments. The area also supports visiting whales and dolphins. Funds will contribute towards furthering the conservation objectives of this special marine site. Many thanks to Claire Hedley (Implementation Officer for the Marine Site) for joining the project. I hope the prints help support the floral and fauna of this beautiful area of coastline! Click on ‘Buy charity prints’ to view the art prints series, which also includes the Isle of Eigg and The Bass Rock. This entry was posted in Uncategorized and tagged art and conservation, art for charity, conservation, grey seals, lindisfarne art, lindisfarne conservation, lindisfarne paintings, lindisfarne wildlife, northumbria marine site on November 2, 2015 by rosestrang.